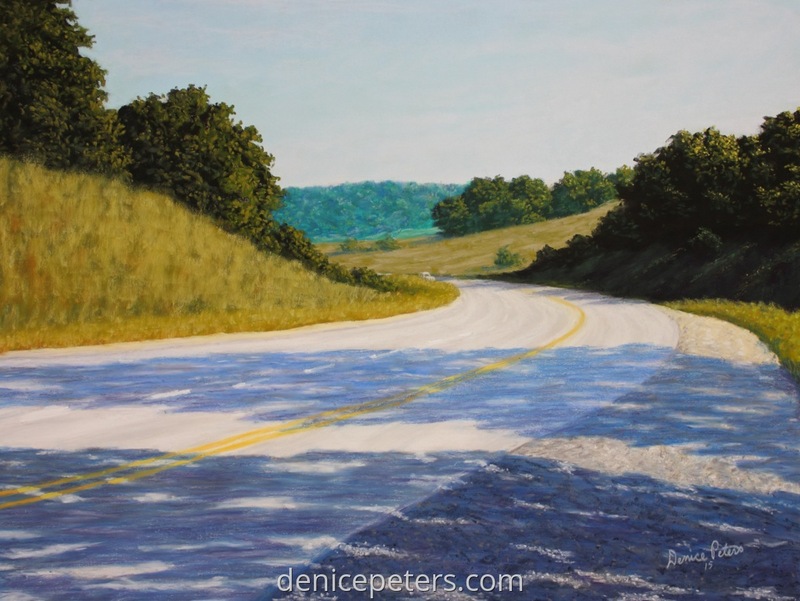 I did this painting of a highway scene in north east Iowa because of the play of light and shadow across the road. Also that curve in the road with distant hills gives it a sense of mystery, "what's around the bend?" 11" x 14.75"14" x 18.5"17" x 22.5"